Name: United Republic of Tanzania. Ruling Party: Chama Cha Mapinduzi (CCM). Official Currency: Tanzania Shilling. 100 cents = 1 shilling. The Tanzanian flag has four colours: Green, Gold, Black and Blue: divided diagonally by a (golden) yellow-edged black band from the lower hoist-side corner; the upper triangle (hoist side) is green and the lower triangle is blue. The central feature of the Coat of Arms is the Warrior’s Shield which bears a Golden portion on the upper part followed underneath by the United Republic flag of Green, Golden, Black and Blue; and a Red portion under which are wavy bands of blue and white. The Golden portion represents minerals in the United Republic; the Red portion underneath the flag symbolises the fertile red soil of Africa; while the wavy bands represent the land, sea, lakes and coastal lines of the United Republic. The Shield is set upon a representation of Mount Kilimanjaro. On each side of the Shield there is an elephant tusk supported by a man on the left (as you look at the emblem) and a woman on the right symbolising both the theme of co-operation and gender and equality of the people of Tanzania. At the feet of the man is a clove bush and at the feet of the woman is a cotton bush symbolising agriculture in the Republic. Superimposed features on the Shield are flames of a burning torch which signifies freedom, enlightenment and knowledge; a spear signifying defence of freedom and crossed axe and hoe being tools that the people of the United Republic use in developing the country. The Uhuru Torch symbolises freedom and light. It was first lit on top of mount Kilimanjaro (5,895m) in 1961, to symbolically shine throughout the country and across the borders to bring hope where there is despair, love where there is enmity and respect where there is hatred. Yearly there is the Uhuru Torch race, starting from different prominent places in the Republic. The United Republic motto: "Uhuru na Umoja" = Freedom and Unity, is written in Kiswahili: the National Language of Tanzania. The United Republic of Tanzania is located in the Eastern part of the African Continent between longitude 29º and 41º East and Latitude 1º and 12º South. The most Northerly point is Bukoba 1º South latitude and the most Southerly point is Mtalika 12º South Latitude. The most Westerly point is Kigoma 29º East of Greenwich and the most Easterly pointis Mtwara 41º East of Greenwich. Tanzania borders on the Indian Ocean to the east, and has land borders with eight countries, which anti-clockwise from the north are Kenya 796 km, Uganda 396km, Rwanda 217km, Burundi 451km, the Democratic Republic of Congo (across Lake Tanganyika) 478km, Zambia 338km, Malawi 475km and Mozambique 750km, making a total of 3900 km. The country includes Zanzibar (consisting of the main island of Unguja and Pemba; see below). The total area, including inland water and Zanzibar, is 945,087 sq. km. (364,900 sq. miles), of which 886,040 sq. km is land and 62,050 sq. km is water. The coastline is 1,424 km of which over 500 miles is of pure white sandy and unspoiled beaches. Tanzania is approximately half the size of all of the western European countries put together and larger than twice the size of California. Eyasi over 1000 sq. km and other over 1000 sq. km. The country comprises several distinct zones: a fertile coastal belt, the Masai Steppe and mountain ranges to the north, with Mt. Kilimanjaro rising to 5,895m and Mount Meru 4,566m, and a high plateau in the central and southern regions. There are over 61,000 sq. km (23.500 sq. miles) of inland water. Unguja Island, 36km from the Mainland, is fertile, hilly, and densely populated on the West side, low and thinly peopled in the East. Highest point: Kilimanjaro ~ 5,895m. Exclusive economic zone: 200 nm. Territorial sea: 12 nm. There is no summer and winter as such, as would be expected in the temperate climes of Europe. Instead the seasons are divided as Wet (Masika and Vuli) which last together for about 4 or 5 months, with the remainder of the year being dry (Kiangazi), hot and dusty. It is tropical on the coast, where it is mainly hot and humid (especially during the rainy season from March-May): semi-temperate in the mountains (with the Short Rains (Masika) in November-December and the Long Rains (Vuli) in February -May): and drier (Kiangazi) in the plateau region with considerable seasonal variations in temperature. Total rainfall increases towards the north around lake Victoria. Rainfall is well distributed throughout the year reaching peak during the period of March and May. Come November out in the open in the heat of the direct afternoon sun, just before the long rains break, temperatures can reach as high as 52ºC (126ºF) around Mpwapwa. Needless to say, the sun is seen as enemy Nº 1! Forest and woodland covered 46% of the land in 1990 (a reduction of almost 6% by 1993! ): in the previous 35 years, coverage decreased by an average 0.3% p.a. The rest of the country, apart from urban areas, is savannah and bush. Yearly timber production in Tanzania in the late 1980s totalled about 24.8 million cu m (about 876 million cu ft.), more than 90% of which was used as fuel. Timber includes camphor, podo, padauk and African mahogany. The annual fish catch in the late 1980s was about 313,500 metric tons, more than three-quarters of which was caught in inland waters, especially Lake Victoria. Sardines and tuna are caught in the Indian Ocean. Hydropower potential, gold, diamonds, gemstones, nickel, natural gas, coal, iron ore, phosphates, tin, mica, salt, lead, tungsten, pyrochlore, kaolin and magnesite. Tropical hazards: vulnerable to flooding on the central plateau during the rainy season. Termites cause extensive damage to buildings. Tanzania’s national parks and game reserves cover one-seventh of the country, and include Serengeti National Park (itself slightly larger in size than Northern Ireland (over 2,175 sq. km. (5,600 sq. miles) which is famous for its vast migratory herds of plains animals. notably wildebeest, zebra. eland and kudu). Small bands of chimpanzees are found in the Gombe National Park along Lake Tanganyika. The steep mountain walls of Ngorongoro Park’s volcanic crater have provided protection and a natural enclosure for animals in an environment of great natural beauty. Rhino and elephant are still depleted by poaching despite government protective measures. The most accessible reserve (just 3½ hours drive) from Dar-es-Salaam is Mikumi National Park, which straddles the main bituminised road from Morogoro to Iringa, is a picturesque wooded hill land forming a border to the Mkata River flood plains and is the haunt of many elephant, buffalo, Masai giraffe, hippopotamus, the occasional lion and crocodile together with a great variety of bird life. Dar-es-Salaam (commercial capital and main port, population(1,651,900). Pemba South (155,000) [figures from 1995 census]. There are 27 regions (Mikoa); 1. Arusha, 2. Dar-es-Salaam, 3. Dodoma, 4. Iringa, 5. Kagera, 6. Kigoma, 7. Kilimanjaro, 8. Lindi, 9. Mafia, 10. Mara, 11. Mbeya, 12. Morogoro, 13. Mtwara, 14. Mwanza, 15. Pemba North, 16. Pemba South, 17. Pwani, 18. Rukwa, 19. Ruvuma, 20. Shinyanga, 21. Singida, 22. Tabora, 23. Tanga, 24. Zanzibar Central\South, 25. Zanzibar North, 26. Zanzibar Urban\West & 27. Ziwa Magharibi. Tanzania’s population is 38.4 million (UN, 2005), giving a rate of population growth 1985-2005 period of 3.0% pa. (1997 est.) Outside the urban areas, most of the country is sparsely populated. The birth rate is 46.0 per 1,000 population (1997) and death rate: 15.0 deaths per 1,000 (1997 est.). Life expectancy (at birth) is 49 years, 46 for men and 46 for women (UN, 2005). The figure is higher for those who successfully reach the age of five. Infant mortality mainly through malaria and malnutrition (especially among the under 2's) sadly skews the figures all too significantly. Most of the people are of Bantu origin representing 95% of the people, with some 120 tribes on the mainland, none of which exceeds 10% of the population, others are of Asian, Arab and Afro-Arab and European. The biggest African group is the Sukuma: others include Masai, Haya, Gogo, Nyamwezi. Chagga. There are people of mixed blood in the coastal area known as Swahilis as well as Asian, Arabs and expatriate minorities. The large number of small groups together with the unifying effects of having one language (Kiswahili) gives great stability and peace in the country as no one group can vie for total power, leading to a great sense of interdependence and welfare among the people. Traditional beliefs (30%) Islam (35%) and Christianity (35%) est. Again relations between the various religious groups is one of mutual understanding, respect and tolerance, and where disputes do occur the root cause most often has little to do with differences in belief. The official language is Kiswahili, which is universally spoken, in addition to various local languages, and is the medium of instruction in all primary schools. English is second official language, the country’s commercial language and also the main teaching language for all scientific subjects in secondary schools and higher education institutions, Arabic is widely spoken in coastal areas (particularly Zanzibar). Enrolment in primary school education rose from 34% of the relevant age group in 1970 to 68% in I992, but is still far from the national goal of compulsory universal primary education. Secondary enrolment figures have been low, at 5.5% of primary school leavers in 1985, but strong emphasis on secondary education increased this proportion to 14.5% by 1995 (186,246 pupils in total). The number of primary schools in 1995 stood at 10,927, of which 10,908 are government schools and 19 private schools, with a teaching staff 103,900 or which 296 are in private schools. There are over 3.2 million pupils in primary schools. The number of secondary schools in 1995 stood at 598 of which 259 are government schools and 336 are private schools, with a teaching staff 10,612 of which 5,818 are in public schools and 4,798 in private schools. The number of students stood at 99,154 in 1994. (formerly Ardhi Institute of Dar-es-Salaam). and finally in 1998, Zanzibar established its first ever University, in a newly built Campus in the outskirts of Zanzibar town, known as the University of Zanzibar. Entrants in the first two mentioned Universities stood at 4,289 in 1994, with finalists numbering 1,197. Three more private universities were established during 1997-98 whose figures are not yet available. In addition, there is Institute of Finance Management in Dar-es-Salaam and Institute of Development Management at Mzumbe, Morogoro. The number of teacher training colleges stood at 40 in 1995 plus 3 technical colleges. The adult literacy rate was 84% in 1997. Among the libraries in Tanzania are the National Central Library, the British Council Library and the American Centre Library, all in Dar-es-Salaam. The University of Dar-es-Salaam has an important library and a lending service at the Dar-es-Salaam Technical College circulates books by mail throughout the country. Zanzibar has several community and school libraries in addition to the Museum Library and the Zanzibar National Archives, with very rich old Arabic manuscripts. The National Museum of Tanzania is located at Dar-es-Salaam and the Zanzibar Government Museum is located in the city of Zanzibar, near Mnazi Moja. The Tanzanian culture is a product of African, Arab, European and Indian influences. Traditional African values are being consciously adapted to modern life. Infant mortality was 82 per 1,000 live births in 1995. Tanzania’s health figures are in advance of all other very poor countries, apart from Vietnam. Muhimbili Medical Centre, in Dar-es-Salaam, is the country’s referral centre and teaching hospital. There is considerable concern about AIDS. In 1999 34% of blood donors (made up of those who considered themselves to be in good health) in Mpwapwa were HIV-positive. The labour force is around 12m, most of whom are subsistence farmers. In the period 1990/91, of the 12.3m employed persons, 10,889,205 people were employed on the mainland: 869,725 were self-employed in agriculture and trade and 405,722 were casual workers. Tanzania's media scene, once small and largely state-controlled, developed rapidly following the advent of the multi-party era in the mid 1990s. There are 208 post offices in Tanzania scattered around the country including Zanzibar. The post, by average, takes between ten to fifteen days to Europe and Middle East by air mail and fifteen to twenty days to USA. For the Far East and Australia it may take a little bit longer. Telephone IDD (code +255) is available. The local network in Dar es Salaam (IDD +22) is being rehabilitated with Japanese assistance. Zanzibar IDD is + 54. There are over 93,000 lines in use with over 1668 telex lines in use. Mobile telephone services are also available in the main towns, provided by Celtel, Vodacom, Buzz, Mobitel and Zantel. In mainland Tanzania, there were 3 main telephone lines per 1,000 people in 1995. Telex and fax facilities are available at hotels: (e-mail and Internet facilities are also available at major international hotels) telex also from main post office in Dar-es-Salaam: telegrams from the post office. IT has picked up rapidly in Tanzania and there are over 100 servers services providers in the country. Major road links are all-weather, but only 3,660km of the 55,550km of classified roads are bituminised. Some l,200 km. are classified as highways, with 57% rated as in good condition in 1994. Many roads have been upgraded under a US$750m long-term World Bank road improvement programme begun in 1989. There are two railway systems, running on different gauges. One links Dar-es- Salaam with northern Tanzania and Kenya (Tanzania Railways Corporation, gauge 1m. ): the other links Dar-es-Salaam to Zambia (Tanzania-Zambia Railways Authority or Tazara. gauge 3ft. 6in.). Recently rehabilitated, the Tazara line has been making an operating profit, although competition from South Africa and Mozambique reduced Tazara volumes to one-third of capacity. Copper freight from land-locked Zambia is the chief source of the line’s revenue. Tanzania’s main ports are at Dar-es-Salaam (11 deep-water berths), Mtwara, Tanga and Zanzibar. A daily boat service - almost on the hour every hour from 7.30 a.m. till 5 p.m.- carries passengers and freight between Dar-es-Salaam and Zanzibar. In January 1996 passenger services between Mwanza and Kisumu (Kenya) began again. Ferryboats provide freight and passenger transport on Lake Victoria. In May 1996, Tanzania experienced its worst shipping disaster when the ferryboat MV Bukoba sank in Lake Victoria and more than 900 people were drowned. There are three international airports (Dar-es-Salaam, -DIA-, Kilimanjaro -KIA-, and Zanzibar -ZIA) and over 50 local airports and airstrips. As Tanzania is a very large country with a scattered population, air services have become the most significant form of internal transport for official and business travel. Air Tanzania Corporation (ATC), established in 1977, runs international services and domestic flights to all main towns. Small planes, from charter companies, fly to towns and to bush airstrips. Mission Aviation Fellowship (MAF) serves Church workers and NGO's working in remote upcountry areas. The economy is heavily dependent on agriculture, which accounts for 57% of GDP , provides 85% of exports, and employs 90% of the total work force, most of whom are at subsistence level. GDP totalled US$8.67 billion per annum as at August 2003 which equated to US$269 per Capita (source: SADC report in Dar es Salaam Guide (ISSN Nº: 0865 6410)). GNI per capita: US $330 (World Bank, 2005). Topography and dependence on climatic conditions, however, limit cultivated crops to only 4% of the land area. Industry accounts for 17% of GDP and is mainly limited to processing agricultural products and light consumer goods. The economic recovery programme announced in mid-1986 has generated notable increases in agricultural production and financial support for the program by bilateral donors. The World Bank, the International Monetary Fund, and bilateral donors have provided funds to rehabilitate Tanzania’s weak economic infrastructure. Growth in 1991-96 has featured a pickup in industrial production and a substantial increase in output of minerals, led by gold. Recent banking reforms have helped increase private sector growth and investment. Imports amounted to US$ 0.66 Billion (CIF) for 2000 and exports accounted for earnings of US$1.34 Billion (FOB) in the same year. The Tanzanian shilling which was valued at TZS 2,471 = GB£1 (Stg) on 12th February 2007, has fallen from TSh 20=£1 (Stg) in 1985. The currency became convertible within the East African region in 1996. Tanzania came to independence with a severely underdeveloped economy and extremely limited infrastructure. In an effort to create socially equitable and rapid development, it became in early proponent of African socialism, Ujamaa (roughly meaning Togetherness), launched in 1967 under the banner of Arusha Declaration, with nationalisation of banking, finance, industry and large-scale trade, marketing through boards, and the resettlement of peasants in communal villages, vijiji vya ujamaa , created out of large estates. Tanzania was able to record progress in education and health but, after an initial boom, the formal economic base shrank: production fell and the parallel economy became a way of life. The Ugandan war, falls in commodity prices and failures of the policy itself in economic terms, brought the country to the verge of bankruptcy by the mid-1980s. Since 1986, however, with the coming to power the second government of Ali Hassan Mwinyi, new policy directions and IMF backed structural adjustment programmes have (at a considerable cost to social programmes) helped integrate the parallel economy and stimulate growth, which has been ahead of population growth since 1986. In 1990s, a new economic policy of Liberalisation was introduced under the banner of Zanzibar Declaration, revisiting some economic aspects of the Arusha Declaration. Together with this growth, however, the policy brought its ugly face to the fore: corruption and sleaze. In 1996, with the coming to power of the third phase government of Benjamin Mkapa, under the banner of fighting corruption and sleaze, the IMF secured agreement for a three-year loan of US$234m under the enhanced structural adjustment facility in support of the government’s reform programme for 1996-1999. Improvements in production and exports have contributed to continued steady growth through the first half of the 1990s. Liberalisation measures are being taken and legislation for a stock exchange has been passed. The World Bank’s soft-loan arm, IDA, has provided US$13m to finance a five-year plan for mining development. This has helped to attract a number of international companies which began new operations in Tanzania in 1995 and1996 (see "Mining" below). The principal exports are coffee, cotton, manufactures, cashew nuts, cloves, minerals, tea, sisal, tobacco and pyrethrum; the main imports are machinery and transport equipment, textiles and clothing, petroleum products and food and drink. Main export partners are Germany, Japan, India, Belgium-Luxembourg and Britain. Main import partners are Britain, Kenya, Japan, Saudi Arabia, India and China. Tanzania is a member of the Southern African Development Community (SADC) and the Common Market for Eastern and Southern Africa (COMESA). In March 1996 Tanzania, Kenya and Uganda set up the East African Co-operation Secretariat, reviving the old economic ties of the defunct: East African Community, with the object of assisting mutual trade and investment co-operation between the three countries (see below East African Co-operation). 36 per cent of Tanzanians fall below the basic needs poverty line: 39 per cent in rural areas, 18 per cent in urban Dar es Salaam, and 26 per cent in other urban areas. 19 per cent fall below the food poverty line: 20 per cent in rural areas, 8 per cent in urban Dar es Salaam and 13 per cent in other urban areas. The Gini coefficient rose from 0.34 to 0.35 over the 1990’s showing a slight rise overall in inequality. The biggest rise in inequality has been within Dar es Salaam. Average consumption per person in Dar es Salaam is 2.6 times higher than the rural average. A quarter of adults have no education and 29 per cent can neither read nor write. Rural women in particular have missed out, 41 per cent are unable to read or write. HIV/AIDS: Among blood donors over the age of 15, 11.01% were infected (2001), compared to 9.9% in the previous year. The number of people living with HIV is estimated to have increased by 3% to 2.23 million. AIDS orphans exceed 1 million. 6 per cent of households have one or more members with a bank account and 4 per cent participate in an informal savings group. Rural households are on average 37 kilometres from a bank. Figures from the Household Budget Survey 2000/01, the Poverty and Human Development Report 2002 and sentinel surveillance data. The economy is dominated by agriculture. Subsistence crops are maize, rice and wheat; cash crops are coffee (grown on large estates), cotton, tobacco and cashew nuts (grown by peasant farmers) and tea and sisal (grown on estates). Tanzania's agriculture is vulnerable to erratic rainfall patterns. Zanzibar exports cloves, copra and spices. Cotton farming has suffered from price falls in the international market over 1995 and 1996, and has had problems of pest-incursion over the past few years. Industries produce agricultural inputs (fertiliser, farm tools), process agricultural products (cigarettes, canned meats, beer, pyrethrum and shelled cashews) or aim at import substitution (textiles and garments). Factory production has stagnated in the past decade, and many plants have for some years been producing below capacity; some of these are being privatised, and others are being closed. Gold, diamonds and gemstones are the most important minerals. The proportion of GDP is rising with the absorption of the parallel economy into the mainstream. Mining is also now attracting new foreign interest. Major or new investors (some in joint ventures) include: gold: Ashanti Goldfields (Ghana), Pangea Goldfields (Canada) and Sutton Resources (Canada); nickel and cobalt: Sutton Resources. In addition, a group of West Australian companies was exploring the feasibility of re-opening the abandoned gold-workings to the south of Lake Victoria in 1996. A number of positive measures have been taken to invigorate the sector, including the introduction of the Mining Act. Zanzibar Revolutionary Day (12 January). 230 volts AC, 50Hz: round or square 3-pin plugs, fused or unfused. 0800-1200hr and 1400-1630hr Monday to Friday, 0800-1230hr (some private businesses) Saturdays. The History of Tanzania is often only thought of as having started with the European Colonialists, but the truth of course is that the land and its people go back a lot further. That said even then its course was charted in much the same way as the British Isles, with "invasions" and visits of those from other lands. The 8th century saw the growth of city states along coast after settlement by Arabs from Oman. It was seven centuries later in 1499 that the Portuguese navigator Vasco da Gama visited the island of Zanzibar, and another 100 years or so before in the 16th century the Portuguese occupied Zanzibar, defeated coastal states, and exerted spasmodic control over them. Their time did not last for long as in 1699 the Portuguese were ousted from Zanzibar by Arabs of Oman who had returned to make it their own. So in the 18th century the Sultan of Oman reasserted Arab overlordship of the East African coast, which became subordinate to Zanzibar. The 1744 - 1837 Revolt of the ruler of Mombassa against Oman spanned 93 years until final victory of Oman. Under the 1822 Moresby Treaty Britain recognised regional dominance of Zanzibar, but protested against the slave trade. By 1840 when Sultan Seyyid bin Sultan moved his capital from Oman to Zanzibar; trade in slaves and ivory flourished. The 1861 Sultanates of Zanzibar and Oman separated on the death of Seyyid. During the 19th century, Europeans started to explore inland, closely followed by Christian missionaries. In 1884 the German Colonization Society began to acquire territory on the mainland in defiance of Zanzibar and 1890 Britain obtained protectorate status over Zanzibar, abolished the slave trade, and recognised German claims to the mainland. German East Africa was formally established as a colony in 1897. The 1905 - 06 Maji Maji revolt was brutally suppressed by German troops. World events then took over with the outbreak of the First World War, and far as it was from Europe, German East Africa was not immune from the fighting, though effective fighting was short lived due to the successful 1916 Conquest of German East Africa by British and South African forces, led by Gen Jan Smuts. Britain was thus, at the the turn of the last century, mainly concerned with the islands of Zanzibar and Pemba. In 1919, the League of Nations gave Britain a mandate to administer part of German East Africa, now known as Tanganyika. (Belgium, with a similar mandate, took over the administration of Ruanda and Urundi = Rwanda and Burundi.) In 1946 Tanganyika became a UN trust territory. A legislative council was set up in 1926, it was enlarged in 1945 and restructured in 1955 to give equal representation to Africans, Asians and Europeans, sitting as 30 "'unofficials" with the 31 "officials". In 1954, a schoolteacher, Julius Nyerere, founded the Tanganyika African National Union (TANU), which promoted African nationalism and won a large public following campaigning for independence. The colonial authorities responded with constitutional changes increasing the voice of the African population while reserving seats for minority communities. Elections were held in 1958-9 and again in 1960. The result was an overwhelming victory for TANU, which was by this time campaigning for independence as well as majority rule. The new government and British Government agreed at a constitutional conference in London to full independence for Tanganyika in December 1961. Zanzibar achieved independence in 1963 as a separate and sovereign country, under the al-Busaidy Sultan. Tanganyika became a republic in December 1962, one year after achieving independence, and the direct presidential election brought TANU’s leader, Julius Nyerere, to the presidency. In 1965 the Constitution was changed to establish a one-party system. Meanwhile, in Zanzibar, a revolution had overthrown the Arab Sultan on 12th January 1964. One month after independence the Constitution was abrogated; Abedi Amani Karume was declared the first African President of Peoples’ Republic of Zanzibar and the country became a one-party state under the Afro-Shirazi Party. On 26th April 1964 Tanganyika and Zanzibar united as the United Republic of Tanzania, with Julius Nyerere as President and the head of state, while Karume as his Vice President, retained at the same time the Presidency of Zanzibar. In 1971 Karume was assassinated in Zanzibar and Aboud Jumbe succeeded him as President of Zanzibar and Vice President of Tanzania. In 1977, the two ruling parties: TANU and Afro Shirazi Party, merged to form the Chama Cha Mapinduzi (CCM). In the same year the EAC was dissolved. Tanzanian troops intervened in Uganda in 1987 to help overthrow President Idi Amin. In 1984 Jumbe resigned his posts and Ali Hassan Mwinyi was elected to replace him in Zanzibar. In 1985 Nyerere stepped down voluntarily as Head of State and Ali Hassan Mwinyi succeeded him as Head of State, Idriss Abdul Wakil replaced Mwinyi in Zanzibar. Presidential elections, for the Union, were held every five years from 1965 with, under the one-party system, the electorate voting yes or no to a single presidential candidate. In general elections (held at the same time as the presidential elections) the choice was between two candidates put forward by the CCM. Pressure for reform grew within Tanzania and among international donors. The Government of Ali Hassan Mwinyi responded with constitutional changes which permitted opposition parties from 1992 and so brought in a multiparty system under which parliamentary and presidential elections were held in October 1995 and contested by 13 political parties. In 1990, Abdul Wakil, having completed one term in office, declined to stand for a second term in office in Zanzibar and Salmin Amour replaced him and was elected a few months later as President of Zanzibar and 2nd Vice President of the Union. After Mr Nyerere's resignation in 1985, his successor, Ali Hassan Mwinyi, attempted to raise productivity and attract foreign investment and loans by dismantling Government control of the economy. This policy continued under Benjamin William Mkapa, who was elected president in 1995. The economy has grown, though at the price of painful fiscal reforms. Tourism is an important revenue earner; Tanzania's attractions include Africa's highest mountain, Kilimanjaro, and wildlife-rich national parks such as the Serengeti. Benjamin Mkapa is credited with being the driving force behind Tanzania's extensive economic liberalisation, which has been well received by the IMF and the World Bank. Under his presidency inflation dropped, the economy grew and Tanzania's foreign debt was wiped. But Mkapa's critics say that, behind the statistics, most Tanzanians remain impoverished. 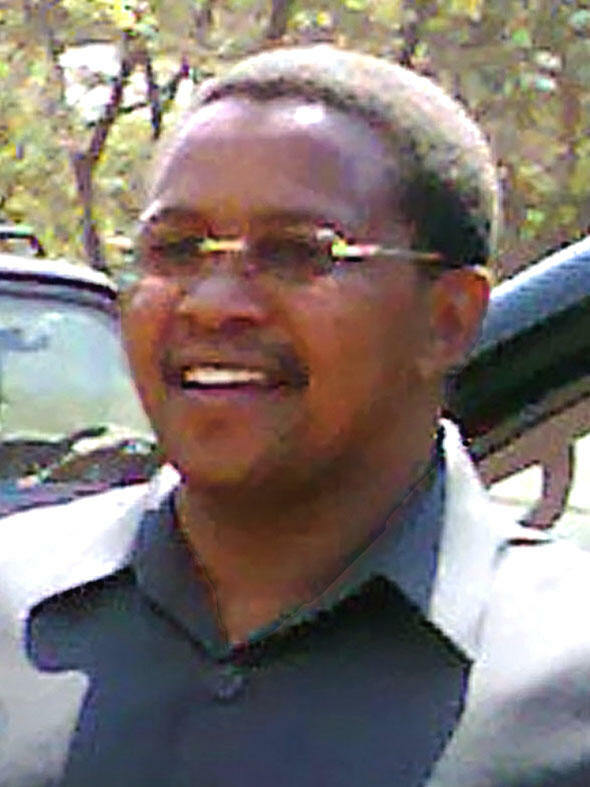 Jakaya Mrisho Kikwete of CCM was elected as the fourth Head of State of the United Republic of Tanzania in December 2005. Before being elected President, Kikwete, a former military officer, served as Foreign Affairs Minister from 1995 when Mkapa took office. He had earlier served as Minister for Finance and Minister for Energy and Minerals. His running mate in the 2005 elections was Dr Ali Mohammed Shein. Kikwete is the only member of parliament in Bagamoyo District who has represented a constituency for three consecutive terms. He started as an MP for Bagamayo and later for Chalinze when the district was divided into two constituencies in 1995. Jakaya Kikwete, who was 55 at the time of his election as President, is married and has eight children. He has vowed to continue the economic reforms set in motion by the outgoing president, Benjamin Mkapa, and to create jobs and tackle poverty. CCM also hold 206 of the 232 elected seats in the National Parliament (2005-2010). Of the remaining 26 seats, CUF hold 19, Chadema 5, and UDP and TLP have one seat apiece. The House has a total of 324 Parliamentarians, who comprise the constituency representatives (232), Special Women's Seats (75), Zanzibar House of Representatives (5), Presidential nominees (10), the Attorney General and the Speaker. The political union between Zanzibar and mainland Tanzania has weathered more than four decades of change. Zanzibar has its own parliament and president. A bomb exploded at the US embassy in Dar-es-Salaam in August 1998, killing 6 people and injuring 60. responsibility was claimed by an anti-American Islamic group. Mwalimu Julius Kambarage Nyerere died on 14th October 1999 aged seventy seven. Presidential and parliamentary elections under the multiparty system were held on 29 October 1995, and contested by 13 registered Political Parties. These were Tanzania’s first multiparty elections in 30 years. At Tanzania’s request, a team of Commonwealth observers attended. The elections were not completed on schedule, as the National Electoral Commission found irregularities at certain polling stations. As a result, it annulled the vote in seven Dar-es-Salaam constituencies and arranged for these to be re-run on 17 November. The Commonwealth observers concurred with the view of the Commission. On 13 November, ten opposition parties announced that they would boycott the repeat elections, and all the opposition presidential candidates withdrew. After the re-run elections on 17 November 1995, the CCM emerged with a substantial majority (approximately 75% of the vote) in the parliamentary elections. 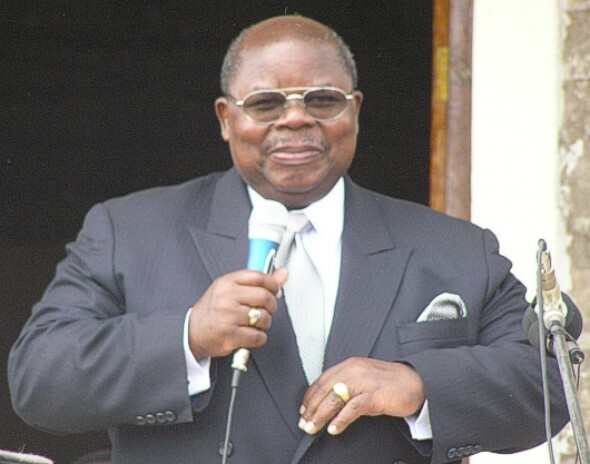 The presidential election held at the same time brought to power CCM leader Benjamin Mkapa. (Mwinyi, who had served two terms as President, was not eligible to stand again and had retired before the election.) Mkapa was duly inaugurated as President of Tanzania. In Zanzibar, the 2000 election returns were strongly disputed by the opposition. The CUF (Civic United Front), which enjoys strong support on Pemba, claimed -contrary to the result legally declared by the Electoral Commission- that its leader Seif Shariff Hamad was returned as President; it therefore refused to recognise the officially returned President, Dr. Salmin Amour of the CCM. The CUF, with 48% of seats in the Zanzibar House of Representatives, decided to boycott the house and refused to recognise the dully elected President of Zanzibar. Political tension followed ever since, where some CUF’s supporters -with the encouragement from few members of leadership- vied to make the Island ungovernable. Verbal political skirmishes between active supporters of both parties increased. Mwalimu Nyerere (with the backing of the Organisation of African Unity) called on Zanzibar leadership to resolve the "impasse" by forming a coalition government of CCM and CUF. However, due to CUF’s behaviour in addition to their demand for presidency for Hamad , Amour could not accept the advice and hence there has been an "impasse". Although the presidential election result remained disputed by CUF, its leader Hamad had become increasingly marginalised by spring 1997. Mkapa has instituted a high-profile drive against corruption and financial malpractice. At the end of September 1996, the Parliamentary Select Committee set up to investigate alleged misdealings called on the President to summon to account some officers in a number of high government offices and some ministries. A number of officers, some with high ranks in the government, were either dismissed or voluntarily resigned. Ever since, Mkapa’s stance on fighting corruption and sleaze remained unchanged. Last elections: December 2005. CCM remain the ruling party. Next elections: by October 2010 (presidential and legislative). The Union For Multiparty Democracy (UMD) of Tanzania. The Legal System is based on English common law, together with the 1977 Union and 1985 Zanzibar constitutions (amended). There is a High Court consisting of a Jaji Kiongozi and 29 judges: above that is the Court of Appeal made up of the Chief Justice and four judges of appeal. Magistrates’ courts are of three kinds: People’ s Courts, District Courts and Primary Courts. Under the new constitutional arrangements of 1992, Tanzania has a Union Parliament of 232 members elected by universal adult suffrage, drawn from 52 new and 180 pre-existing constituencies, plus 36 female nominees: one seat is reserved for the Attorney-General. The President is elected in separate presidential elections held simultaneously with the general elections. He or she must represent a registered political party and have a running mate for the position of Vice-President of the Union. Constitutionally, if the President comes from one part of the Union, Vice President must come from the other part of the Union. The current Vice President is Dr. Omar Ali Juma from Zanzibar. The Zanzibar administration has its own President and a House of Representatives of 50 elected members and nine female nominees, for legislation on Non-Union matters (health, agriculture, tourism, primary and secondary education, roads, local governments, and external trade). General elections are held every five years with universal adult suffrage. The constitutional changes of 1992 introduced a multiparty system both in Tanzania and Zanzibar. In both parts of the Union, the Presidents may serve a maximum of two five-year terms only. Tanzania has a long unmatched record in the region of assisting refugees: over the years there have been sizeable influxes of refugees from Uganda, Mozambique and the Democratic Republic of Congo (formerly Zaire). By early 1996, it had granted temporary asylum to over 730,000 refugees from the civil war in Rwanda; over 300,000 from Burundi; over 50,000 from Congo in early 1997, but with peace in the country by mid-year, people were beginning to return. Tanzania is also endeavouring to stimulate growth through regional co-operation. Tanzania, Kenya and Uganda were formerly linked in the East African Community, founded in 1967, which provided shared services in communications and the co-ordination of commerce, industry and finance. The Community was dissolved in 1977, during Idi Amin's dictatorship in Uganda. Efforts were made to revive it after Amin’s fall. In 1996 - the potentially most promising sign of its resuscitation in recent years -Tanzania, Kenya and Uganda set up an East African Co-operation Secretariat, which was designed to assist in developing mutual trade and investment. promote peace, security and good neighbourliness in the region. to reinforce institutional capacities for regional co-operation with the EAC Secretariat as a small but effective co-ordinating body, to organise and supervise special activities, studies and research aimed at facilitating decision making in areas relevant to regional integration. Free movement Currency: The three East African currencies are now convertible. Kenya and Uganda have either technically abolished exchange controls or in practice do not enforce them. Tanzania has some restrictions on capital but not current accounts. Reduction in Border Delays: much has been achieved. Harmonised customs documentation: being progressed. Customs Duty Collection at first point of entry: the first draft has now been prepared. Introduction of EAC Common Passport: agreed. Passport printed but not yet distributed. Study on Common External Tariff: initial studies nearly complete. Introduction of COMESA standards on motor vehicles: road transport agreement to be signed in April, 98. Formulation of EAC Digital Transmission Telecommunication: Done. Common Oil and Gas pipelines: study completed on Kampala link. Develop EA power supply master plan: task force aiming to complete its work by end of April 1998. Study on impact of liberalisation of tourist industry: First draft completed. Establish EA industrial standards for local manufactures: 42 our of 105 agreed. Co-ordination on Fiscal and Monetary Policies. In progress. Double Taxation Agreement between EAC States: negotiated and signed. Tanzania hosted a regional summit in late July 1996 - in response to the political and ethnically motivated killings in the eastern neighbouring countries- to co-ordinate responses in eastern Africa following the military coup in Burundi. The governments of Kenya, Uganda, Rwanda, Tanzania, Zimbabwe, Zambia, Ethiopia and Democratic Republic of Congo, agreed to impose sanctions against Burundi. For its part, Tanzania also closed the land and air borders, and blocked oil supplies. Tanzania’s former President Nyerere was persuaded to act as the facilitator of the peace talks with the support of international communities. Before his death in 1999 Nyerere made several efforts to broker peace in Rwanda and Burundi. President Bill Clinton was able to come to be present at the signing ceremony.